23. marca odbył się KONCERT POLSKO-LITEWSKI, zorganizowany przez Centrum Muzyki Polskiej w USC, z udziałem kompozytorów JOANNY BRUZDOWICZ, dyrektora PMC, MARKA ŻEBROWSKIEGO i VERONIKI KRAUSAS. Koncert był częścią PMC’s Festiwalu Premier a przedstawił światowe prawykonania UN-intermezzi (2012) Veroniki Krausas i Five Piano Preludes (2000) Marka Żebrowskiego. Grał profesor USC, Aaron Kallay, pianista-kompozytor, który specjalizuje się w muzyce współczesnej. The concert, a part of PMC’s Festival of Premieres, presented world premieres of UN-intermezzi (2012) for piano by Veronika Krausas and Five Piano Preludes (2000) by Marek Żebrowski as well as California premiere of Pasaka by Vykintas Baltakas. Joanna Bruzdowicz’s Erotiques pour piano (1966) was not a premiere, but was graced by the presence of the composer. Henryk Mikołaj Górecki’s Piano Sonata (composed in 1956, revised in 1990), and Five Character Pieces by Mikalojus Konstantinas Čiurlionis rounded off the evening. 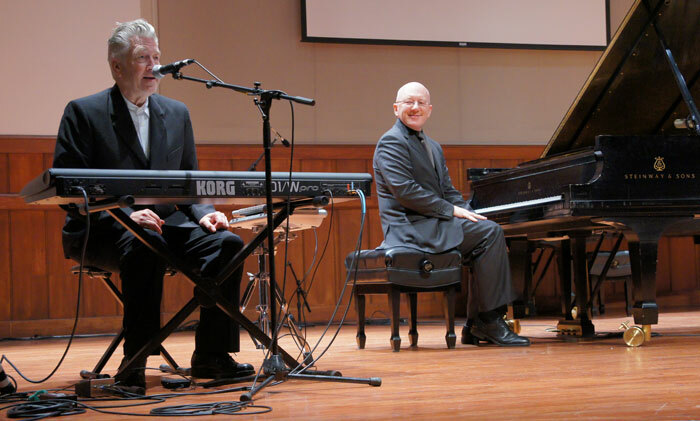 This concert was a USC Thornton Faculty Recital by pianist Aron Kallay, a pianist and composer who champions contemporary and microtonal music, and music that combines electronics with acoustic instruments. He is a member of the faculty of the USC Thornton School of Music and Chapman University. Joanna Bruzdowicz studied in Poland and France (with Nadia Boulanger, Olivier Messiaen and Pierre Schaeffer). She wrote her doctoral thesis "Mathematics and Logic in Contemporary Music" at the Sorbonne. As a composer she devotes her attention to opera, symphonic and chamber music, works for children, and music for film and television. She wrote four concerti, six stage works, and numerous chamber pieces, as well as over 25 hours of film music. Her works have been issued on 12 CDs and over 20 LPs; she has been featured in TV programs produced in Belgium, France, Germany and Poland. 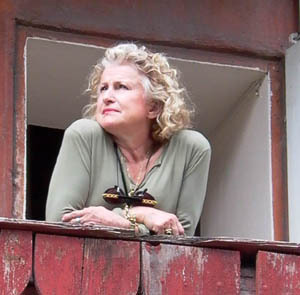 Composer Veronika Krausas has had her works performed internationally. The Globe & Mail (Toronto) writes that "her works, whose organic, lyrical sense of storytelling are supported by a rigid formal elegance, give her audiences a sense that nature's frozen objects are springing to life." Mark Swed of the Los Angeles Times said of her chamber opera "Something novel this way comes." Krausas has received commissions from the Penderecki String Quartet, San Francisco Choral Artists and the Alexander String Quartet, ERGO Projects, Continuum Music, Toca Loca, and Motion Music. She holds music composition degrees from the University of Toronto, McGill University in Montreal, and a doctorate from USC’s Thornton School of Music. In 2009, the Penderecki String Quartet gave the US Premiere of her work midaregami at REDCAT. Her chamber opera The Mortal Thoughts of Lady Macbeth was premiered with the New York City Opera in 2008 and a full production was mounted in Los Angeles in 2010. Language of the Birds, a commission for the 25th Anniversary of the San Francisco Choral Artists and the Alexander String Quartet, using text by the poet Lawrence Ferlinghetti, was premiered in 2011 in San Francisco and released on CD with Foghorn Classics. Krausas has directed, composed for, and produced multi-media events in Los Angeles that incorporate her works with dance, acrobatics and video. She is an Assistant Professor in the Composition Department and the Assistant Director of Undergraduate Theory at the Thornton School of Music, on the advisory board of Jacaranda Music, an associate artist with The Industry and Catalysis Projects. She is of Lithuanian descent and her parents live in Canada. Marek Żebrowski (on the right with David Lynch) studied in Poland, France (with Robert Casadesus and Nadia Boulanger), and the U.S. As a pianist-composer he has recorded for Apollo Records, Titanic and Harmonia Mundi labels and frequently appears in recitals and as a soloist with orchestras worldwide. The catalogue of his compositions includes orchestral and chamber works, numerous piano compositions and transcriptions, as well as film and stage scores. He has received commissions from Meet The Composer, The New England String Quartet, and Premiere Productions and Central Europe Trust in the United Kingdom, among others. Since 2004, he has served as the Director of USC Polish Music Center; he also is the author of two books on Paderewski and Chopin, and frequently lectures on music.